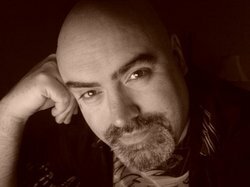 Kyle Hebert is a Los Angeles-based anime and video game voice actor whose credits include Marvel Vs Capcom 3 (Ryu), Naruto (Kiba), Bleach (Aizen, Ganju), X Men Arcade (all male voices) and Gurren Lagann (Kamina). He is best known as the Narrator and Teen Gohan from the Funimation dub of Dragonball Z. Other notable roles include Soul Eater (Masamune), Ouran High School Host Club (Kazukiyo Soga), Fullmetal Alchemist (Vato Falman), Tales of Symphonia (Richter Abend) and Star Ocean (Dias, Arumat, Crow). Kyle also provides voices in numerous video games including Final Fantasy XIII, World of Warcraft, Devil May Cry 4, Dynasty Warriors, and James Cameron's Avatar.